In our weekend Children's Ministry programming, The Deep Blue, we have three primary environments of discipleship for kids ages birth through fifth-grade: the Tidal Pool, the Coral Reef and the Submarine Canyon. These truths are reinforced with our one year olds while they play. For our twos, we introduce these truths through an interactive Bible story, worship with bubbles, and an activity which emphasizes the bottom line for that month. Every month we focus on one of these three basic truths with a Bible story, worship and engaging, creative activities. 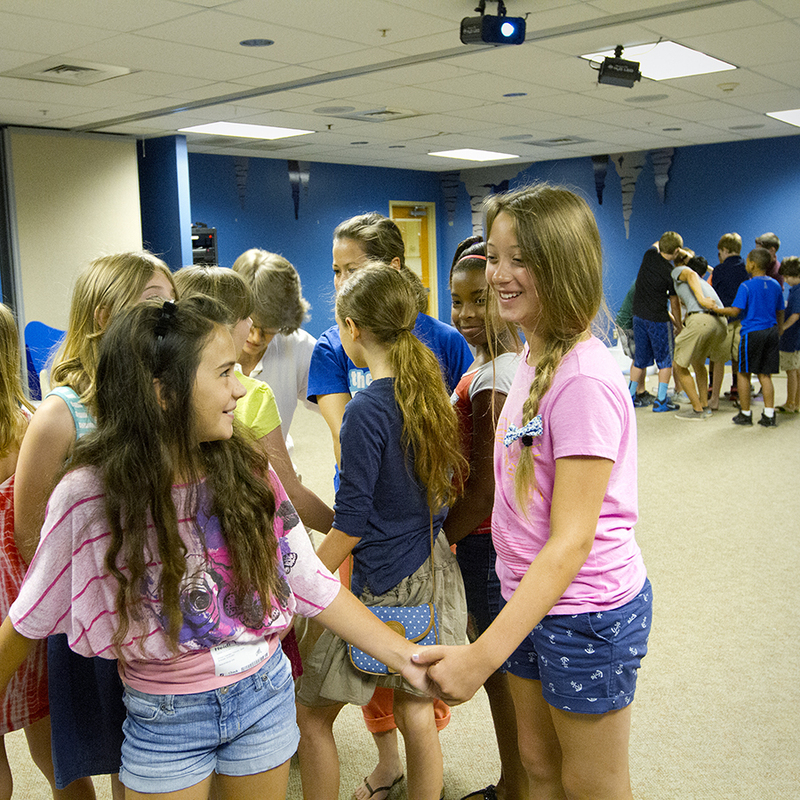 In the Coral Reef, we are introducing kids for elementary by introducing them to large/small group environments. The story, offering, worship and prayer time take place in our large group space then they are dismissed to their small group time where activities and relationships go deeper. Worship is an important part of our Sunday mornings. We show God how wonderful He is by singing and praising Him using all of our senses. We use an interactive DVD for worship and if you are interested in purchasing any of our worship materials, they are available for purchase at the Children’s Welcome counter. Offering in the Coral Reef is all about kids helping kids, locally and globally. Each week we take an offering and talk with our preschoolers about the ways their dollars serve God. Submarine Canyon is an environment for your elementary aged child, kindergarten – fifth grade. 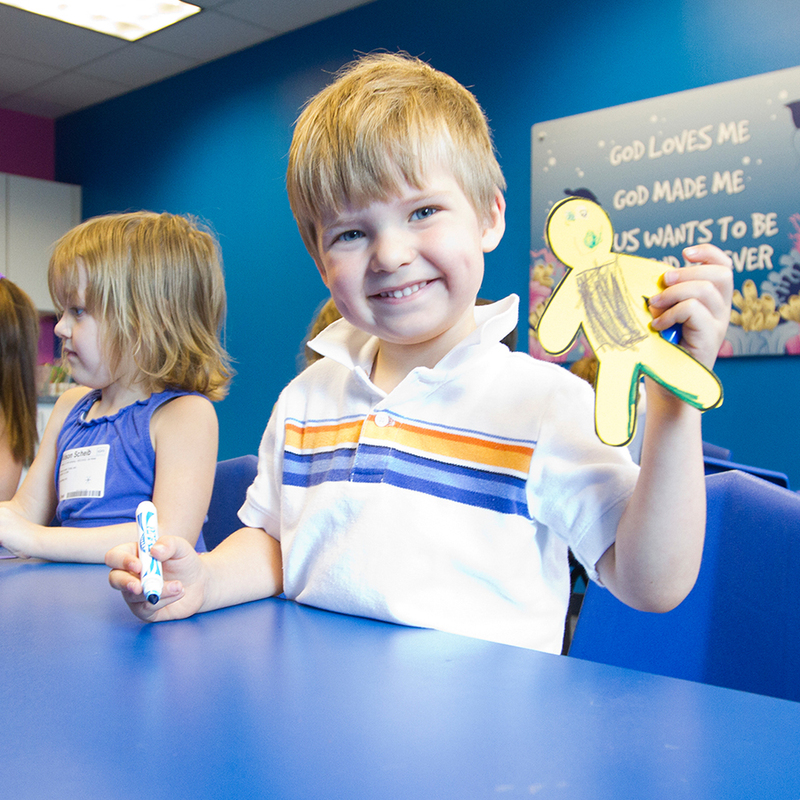 In the Submarine Canyon we encourage children and parents to “dive deep” into the word of God. We provide different atmospheres and experiences every Sunday to emphasize the lessons and use our time together to its capacity! Our large group time is our time for worship, allowing everyone to be energized for the Lord with music, stories and games! During this time the Life App is introduced, the Bible story of the day is presented, and the bottom line for the week is discussed. Our offering is collected and we stress that offering is bringing to God what is already His. Our small group leaders build relationships by using activities, games, discussion and other tools. Our desire is to help children dive deeper into the Word helping them to determine how to apply the life app to their every day lives. We practice prayer every week as our way of communicating with God. We desire for every child to know they can talk to God anywhere, anytime. We use prayer journals as a way of reflection and application to their lives. If you're planning to join us at Bay Area one Sunday soon, you can save time by pre-registering your children for KidCheck, our secure check-in program. Have more questions about what your kids might experience on a weekend? Check out our FAQs below. We hope to meet your family soon!